Many people forget about protecting their garage, the average criminal knows this and they target garages for this reason. To Ensure your garage is safe you might want to consider one of the further options. We recommend all of these products and provide a full ‘supply and fitting’ service. If you have an “Up and over” type door, then its actually rather scary how quick and easy a criminal can get into your property. 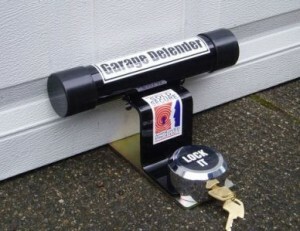 The garage defender is extremely efficient and cost effective at its job. 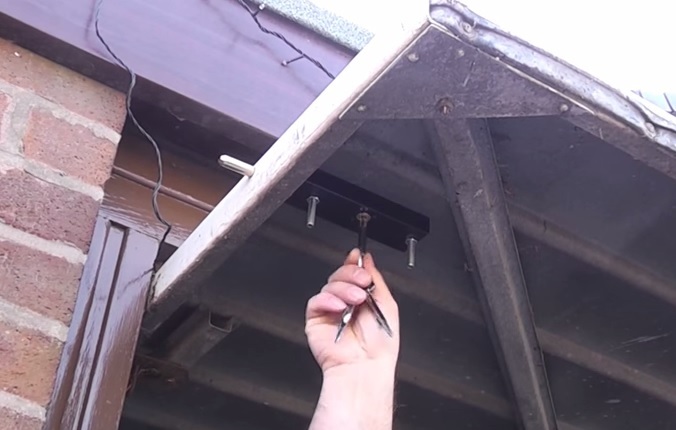 Locked from the outside with a hardened solid steel shackle-less lock, making bolt croppers useless and hidden bolts anchor it to the ground this is the best solution to protect your garage being broken into and your valuables being stolen. Another efficient option for securing up and over doors is the Enfield door bolts. It is the most universal security piece and can be fitted on all up and over doors in any building, again no padlocks showing that can be easy cut with a pair of bolt croppers making this option a good safe way of protecting your garages. Garage alarm systems are often not thought about by people upgrading their home security, but it is actually a really simple place to secure. At KeyWise we can install an intruder alarm system that covers your home, your garage, shed or anywhere you need securing, with a simple PIR sensor or door contact. To find out more about a system that can fit your garage please read the Intruder Alarms page. 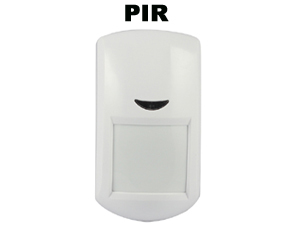 If you already have an intruder alarm system which you can’t add extra sensors to and you would like us to add security to your garage, there is always another option in a simple door contact siren system. 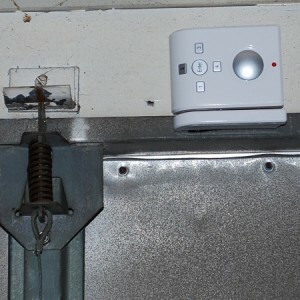 A cheap and effective deterrent that will sound a loud siren whenever the garage door is opened and anyone unaware wont be able to shut the system down in time before the siren alerts all your neighbors or even wakes you up in your sleep.